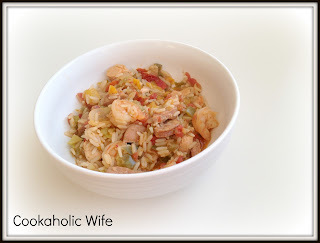 The closest thing I’d ever had to jambalaya was the Zatarian’s Jambalaya Rice Mix. When I first started cooking, it was on my list of things to make but I knew that my mom wouldn’t come anywhere near it. Since I was cooking dinner for the both of us, I pushed it to the back of the list and promptly forgot to make it for practically a decade. I’m pretty talented with that, aren’t I? There are just so many things I want to make and not nearly enough time to make them all. 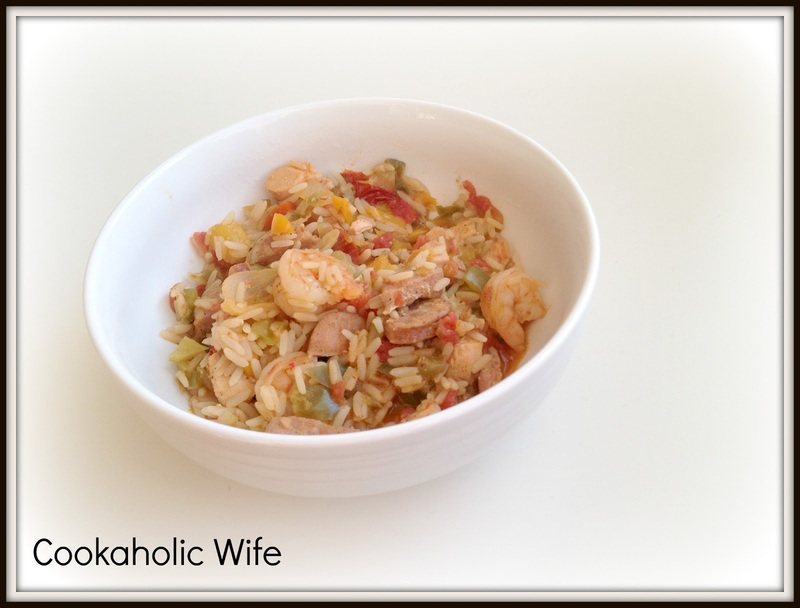 When I came across a version of jambalaya in The New Abs Diet Cookbook I figured it was finally time to check out this recipe and see if I liked jambalaya or not. 1. Halve the sausage lengthwise then cut into 1/2 inch slices. Place in a 6 quart crock pot along with the chicken, celery, tomatoes and peppers. 2. Add just the packet from the rice mix along with the 2 cups of water and stir. Cook on low for 6 hours. 3. Then add the rice and cook on high for 35 minutes. Stir again and then add in the shrimp and cook for 5 minutes more. I found this to be pretty good, but really spicy. I couldn’t find the Zatarian’s rice mix, so I opted for another brand and I think that’s what caused the spice issue. Either way, its definitely something I would make again. And if you’re keeping track of the Power foods, there are 2 in this recipe. Each serving is also around 360 calories.